Have an unforgettable experience and stay with the locals. The paradise on earth! Relax on seemingly endless white sandy beaches, enjoy fresh coconut milk under palm trees, snorkeling in crystal clear water or dive into the colorful underwater world of the most beautiful coral reefs on earth, swim with sharks or watch fascinating animals like manta rays. This sounds to you like paradise and describes the poster above your bed? Welcome to Fiji! About 300 islands invite you to heavenly, sometimes and turquoise waters! 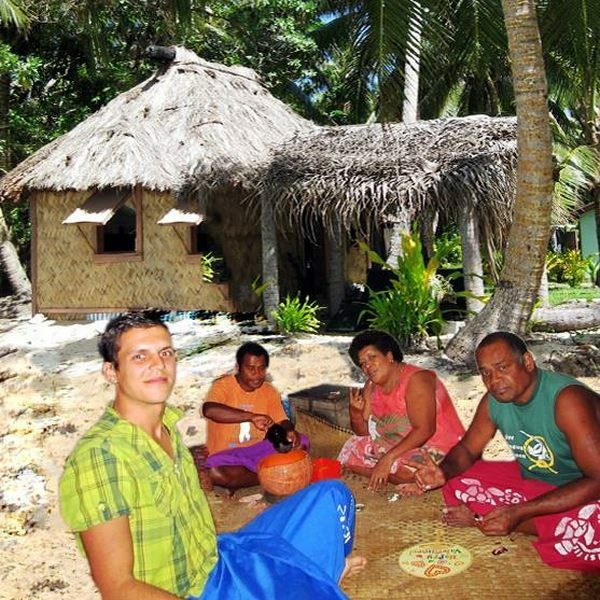 Get to know the warm and friendly locals, their culture and traditional Fijian meals. 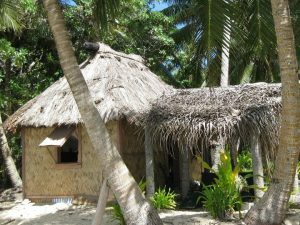 The highlight of your cultural journey will be a Fijian ceremony, in which, after an old rite a special herbal drink will be prepared. Get enchanted by these beautiful islands and the afternoons in the hammock, traveling across Fiji and jump into the new photo opportunity on your bed! Normal “tourist vacation” is too boring to you, you want to get to know the culture and the locals pretty close? At the airport a taxi is already waiting for you. 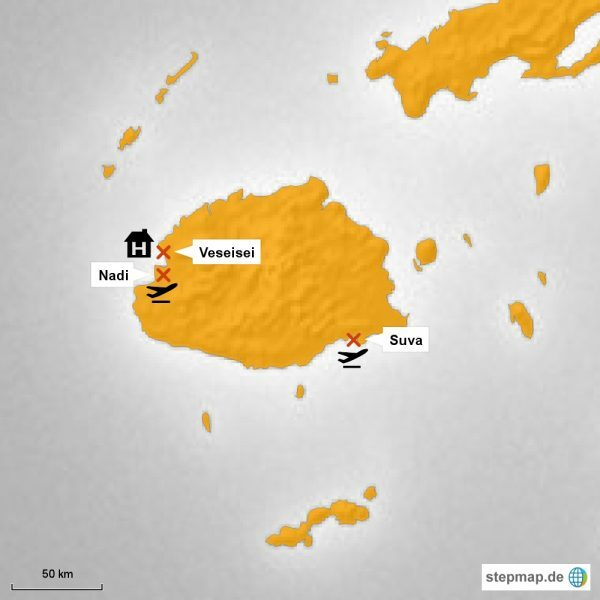 It brings you about 15 km away to the oldest village of Fiji, Veseisei, where Finau and Api are already excitedly waiting for their new guests. That’s right, on the first day you may be part of a local family. “Feel free!” it´s what it says, you’ll feel home straight away. 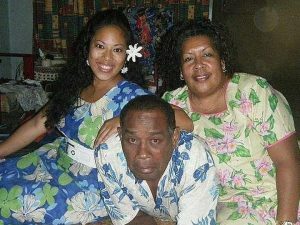 Finau knows everything about her country and can help you to experience the perfect holiday in Fiji! 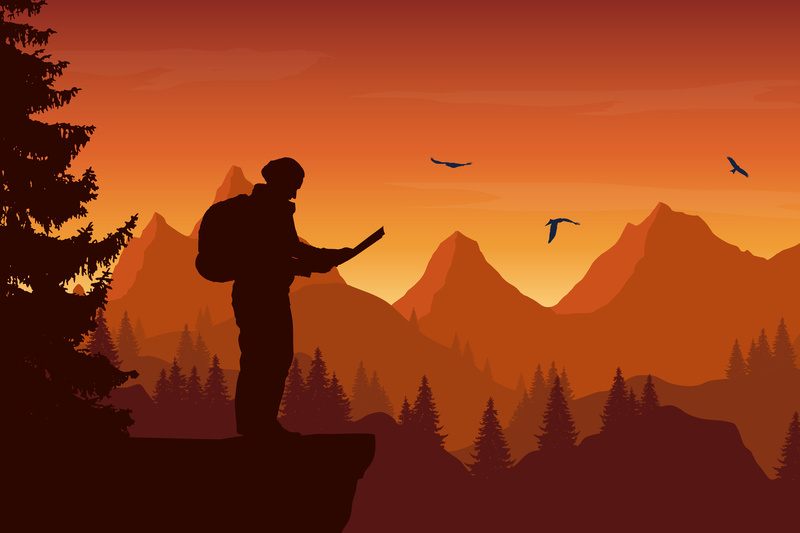 Already over 300 backpackers from all over the world have visited her, she works as a travel agent and can advise you individually and find the best and cheapest tours for you. You’ll have an unforgettable time with your host family, you’ll sleep in a cozy guest room, public transport is located directly in the neighborhood of the house and the Internet is available around the clock! In the traditional Fijian village where you can watch a beautiful sunset, there is no tourism and you experience something very special! You can leave your heavy, unnecessary baggage at Fi´s and you just take a small bag with you to the islands. 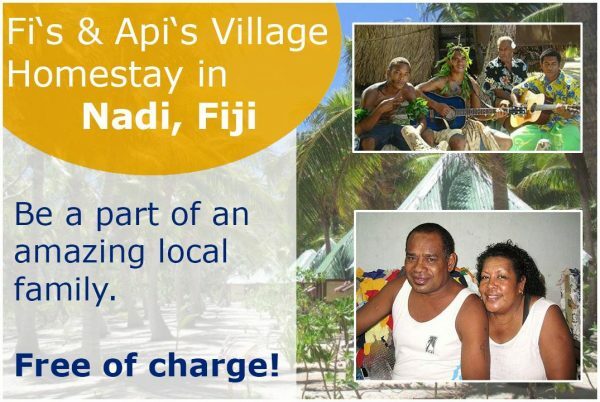 Fi’s Homestay is only 15 min from Nadi airport! 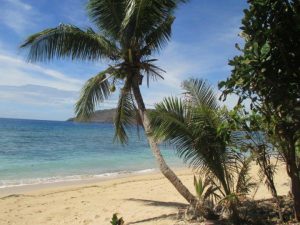 More about "Backpacking in Fiji"